Peter Molyneux is a well-known figure in the world of PC gaming. I chose to use the words "well-known" because he has courted quite a bit of controversy over the years which can result in him being either labelled as "famous" or "infamous", depending on your point of view. Anyway, I think despite the many controversies, he's definitely had a huge impact on the world of PC gaming, especially when it comes to a genre of games called the "god game". Back in 1989, Populous would be the first of these god games to be developed by legendary games studio, Bullfrog. The game received critical acclaim and was a commercial success selling more than 4 million copies. Bullfrog would develop two more Populous titles including 1991's Populous II (the version of Populous I was first introduced to) and 1998's Populous: The Beginning. Molyneux would eventually leave Bullfrog and found a new studio with Mark Webley, Tim Rance and Steve Jackson called Lionhead Studios. Lionhead is probably best known for the Fable series but Molyneux still managed to release another two god games while working there: 2001's Black & White and 2005's Black & White 2. In 2012, Molyneux left Lionhead to form a new studio called 22cans. It was also in this year that 22cans launched a Kickstarter campaign for a new (yep, you guessed it) god game called Godus. The campaign was a success and raised £526,563 thanks to 17,184 backers (yours truly being one of them). Originally, the release date was forecast to be September 2013; fast forward to 2018 and the game remains unfinished and will probably stay that way considering the lack of updates about the game in recent years and the fact it's not even sold on the Steam store anymore. Currently, the game must be one of the worst rated games I have in my Steam library with 27% of the 5,417 user reviews being marked as positive which is equivalent to a "Mostly Negative" Steam rating. So, is this rather harsh score fair? 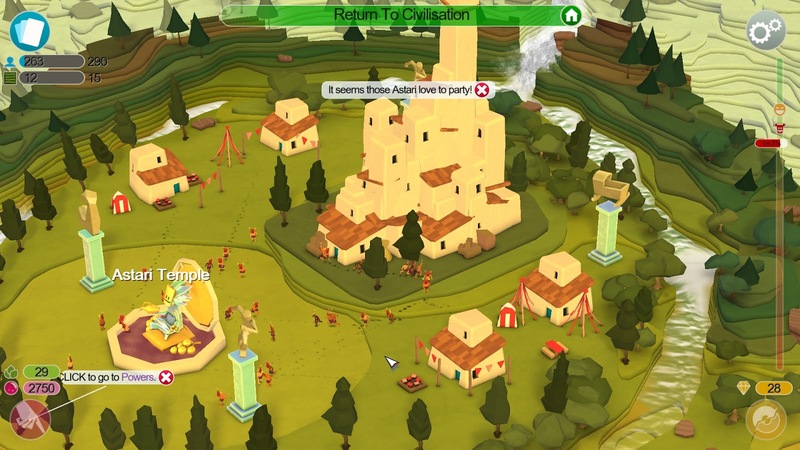 What can you actually do in Godus? Well, it seems like the main goal in the single player campaign is to wipe out (or assimilate) a hostile tribe called the Astari. You can either do this by using your god powers to quite literally obliterate them (meteor showers are particularly effective) or keep your population's happiness high so that they can lure Astari to your way of life. There's also an Ark that you can reach on the map that will unlock a new continent for you to explore and repeat the process. However, you don't just get all powers unlocked right at the beginning – you'll have to work your way towards it by increasing the number of followers you have as well as access to particular materials like wheat and ore (almost sounds like a game of "Settlers of Catan" when I put it that way). You'll be doing a lot of clearing of land in the meantime in order to make space for new settlements; you'll also spend a lot of time collecting all these resources too. If you ever do get bored of collecting resources though, there is a "Voyages" mini-game that you can play which is very similar to Lemmings, although it won't take you long to complete all the available missions so it's only a temporary respite. As already mentioned, I backed the game during the Kickstarter campaign, many years ago. When the game came over to Steam and joined the Early Access program, I acquired a Steam key for the game and besides dabbling around with the game a bit in 2014, it's sat dormant in my Steam library ever since... until a few months ago, of course, when I finally decided to revisit the game. I love the bright and colourful, low-polygon art style employed by the game. Obviously, there was probably a practical reason for doing so (since the game has to also run on mobiles) but hey, I'm going to refrain from being cynical for a few moments and just admire the beautiful rivers and waterfalls flowing down the contoured terrain. The game is a pretty relaxing, casual and chilled affair, which is great if you want something to wind down to. While you're waiting for things to happen at your civilization, you can embark on "Voyages", a mini-game where on each mission you have to guide your followers from one side of the map to the other, without being pummelled to death by monsters. The mini-games feel a lot like Lemmings or From Dust and that's not a bad thing. Playing with the Developer Commentary on was very useful in teaching me the ropes so it was a welcome addition. This basically translates to "be prepared for a lot of grind"
It's obvious that the game was targeted for mobiles: the game is really grindy especially towards the latter stages where you'll require a huge amount of resources to either unlock new sections of the map or to complete a continent. Generally, this involves flattening new land for your people to settle so that you can generate more faith and unlock more powerful cards (which is time consuming). You'll also need to hunt for treasure chests in order to get stickers in order to use these cards, which involves more levelling of the terrain (which is time consuming). To make matters worse, you're responsible for manually collecting all the resources you need to use in the game such as faith, wheat and ore by holding down the mouse button and swiping it all over the map like a mad orchestra conductor (which, you guessed it, is time consuming). Oh, you can auto-collect faith by placing particular statues but they seem to collect faith slower than if you did it yourself, so it's still more effective that you manually do it. Yeah, I wasn't too impressed either. Regardless of whether you like this game or not, it seems that the game is no longer supported since it hasn't received any substantial updates in a couple of years now. The game is also no longer being sold on the Steam store, so it seems very unlikely there will be any future updates to the game. Now if a game is no longer supported but it's at least stable and has a decent amount of finished content, you'd probably be fine with that, right? Unfortunately, this isn't the case with Godus which seems unfinished in terms of content and the game is still pretty buggy at times. Half-way through my campaign, I started experienced Crashes to Desktop (CTDs) and they became more frequent as I progressed further. 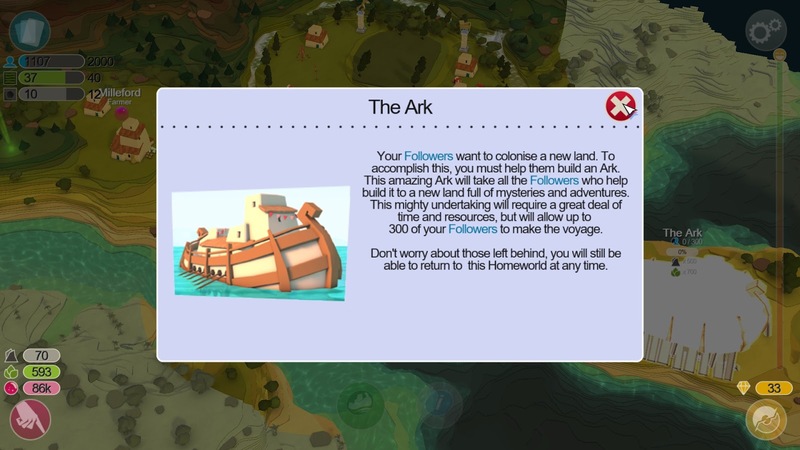 I'm guessing that perhaps the game can't handle a large population of followers or something, but who knows? 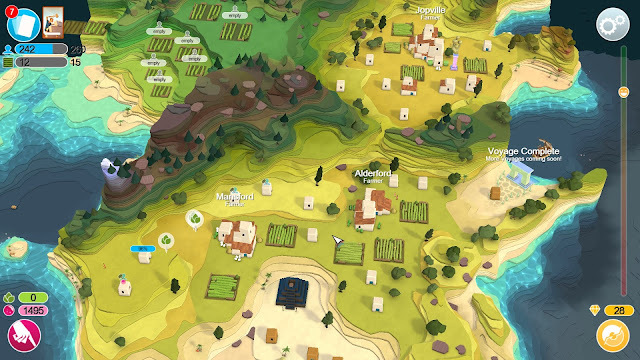 Despite Godus not being the game most of its backers wanted, it's actually not a bad little game thanks to its appealing art style and relaxed, casual gameplay. However, the game is definitely not a worthy successor to Populous, nor is it any good as a PC game thanks to an infuriating control scheme that is better suited for mobiles as well as gameplay that is purposefully grindy. The final nail in the coffin for this game is the fact it's still buggy so many years later and the fact it doesn't seem to be supported anymore. So, it's probably just as well that the game is no longer being sold on Steam since it saves you from even having to decide whether to buy it or not, however, even if the game was still available, I'd recommend against it. Is the game worth $??? USD? : The game doesn't appear to be available for sale any more.